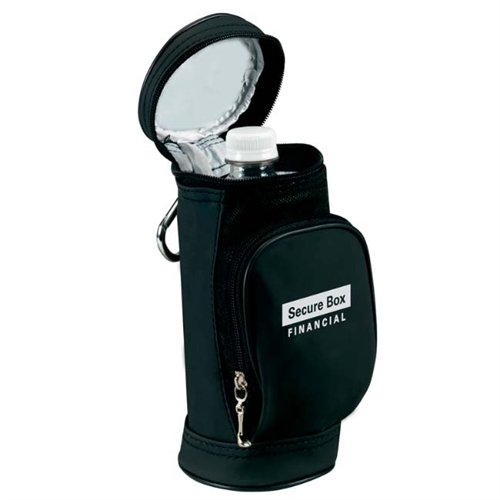 Custom Water Bottle Golf Bag KOOZIE® Kooler is made from sanded polyvinyl Chloride (PVC). Customizable Water Bottle KOOZIE® Cooler holds one 16.9-ounce bottle. Custom Water Bottle Golf Bag KOOZIE® Kooler is available in Black color.